Bahamas wedding flowers that were quite popular in April were hydrangeas and roses. Peonies were also heavily used by our brides this month. 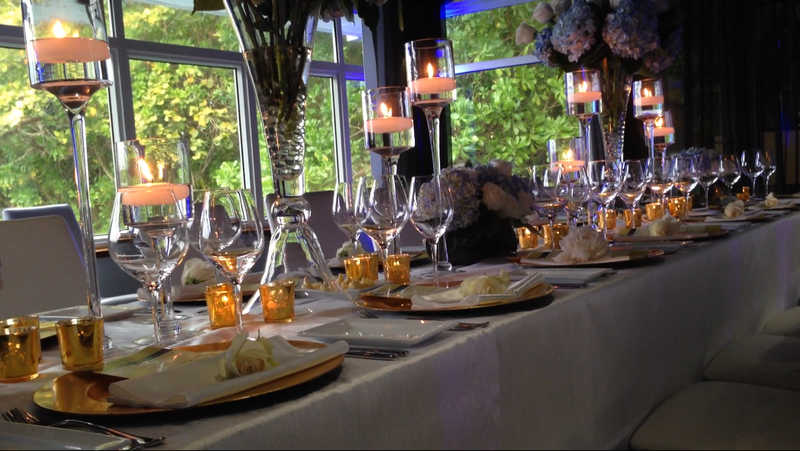 Pretty spring colors of blue, pink, orange, purple and white were featured in a number of our weddings this month. The lovely setting pictured in the images below was the award-winning Flying Fish Restaurant on Grand Bahama Island. With beautiful Bell Channel Bay as a view, not much decor is needed for your table settings. 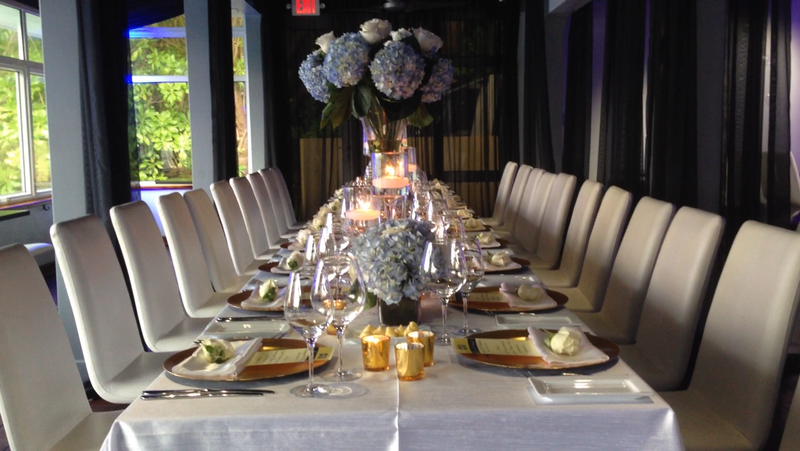 Blue, white with pops of gold are featured in this table setting. Contact Bahamas wedding planner Chic Bahamas Weddings today to begin planning your 2015 destination wedding!